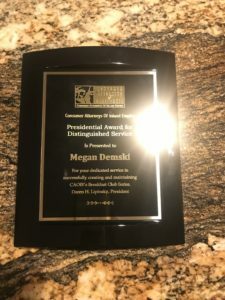 Aitken Aitken Cohn associate attorney Megan Demshki was installed as the Consumer Attorneys of the Inland Empire’s (CAOIE) First Vice President for 2018-19 and was awarded the Presidential Award for Distinguished Service. Megan was deeply involved in the organization’s events this past year and spearheaded the monthly CAOIE Breakfast Club events. Megan curated speakers and garnered attendees for round table discussions on a multitude of trail skill topics throughout the year. The monthly events allowed for an intimate space to learn from the best attorneys in the Inland Empire. 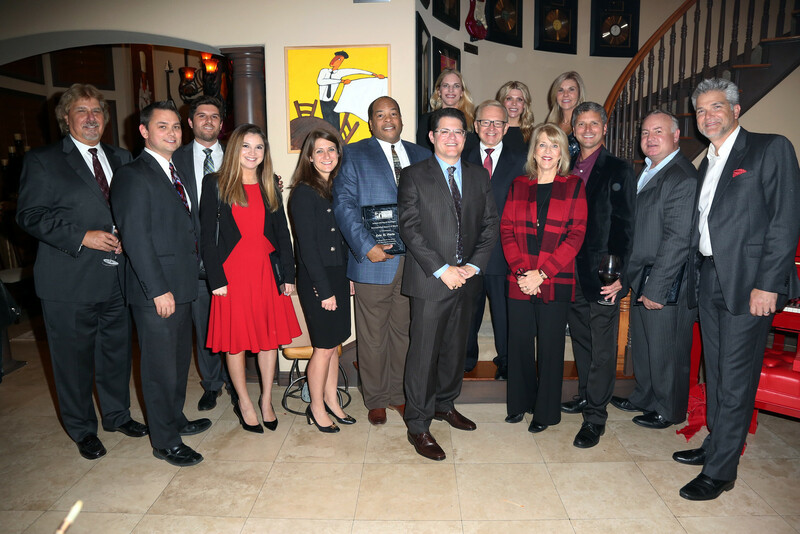 Her honor was highlighted in the latest issue of the Forum magazine, CAOC’s internal publication for its members. See the page here. Aitken Aitken Cohn is proud to carry enthusiatic attorneys who are committed to involvement in community and legal organizations. Check out the full list of the organization we support and are involved in the Inland Empire here.